Promotional super bright LED flashlight with swivel split keyring is a right choice for small budget marketers who are working hard to hit the roof with their promotional campaigns. This super bright LED flashlight sheds light on their campaign and leads the user from darkness to the area of brightness and allows them to hang their keys. It can be easily managed within purses, bags or within pockets or even carried over bagpacks or other qualified spaces. It is perfect for gifting during tradeshows, festive sales driving, in-store promotions, individual celebrations or formal/informal business promotions, etc. This super bright LED flashlight with swivel split keyring is going to buy you long face time with customers. 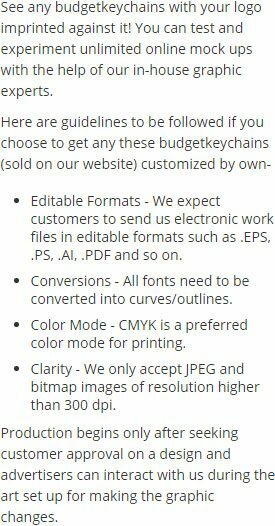 Request a quote for knowing discounts on custom super bright LED flashlight with swivel split keyring. 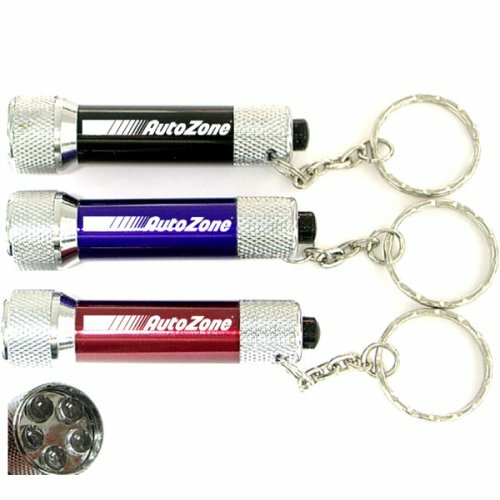 Features – Super bright LED flashlight with swivel split keyring. Solid metal construction accented with metallic color finish with five beams. Push on/off switch. Powered with replaceable environment friendly lithium batteries. Available colors – Orange, Black, Green, Pink, Purple, Blue, Red, Silver and Yellow. Product Size – 2 3/4" x 1/2"
Imprint Area : 1" x 5/16"
Product Size : 2 3/4" x 1/2"
Product & Design Quality -Great quality product, and accurate design. Customer Service & Shipping - Very accommodating, and shipped within estimated time frame provided. Product & Design Quality -beautiful design & quality! very happy with our purchase! Customer Service & Shipping - great customer service & fast shipping!